Truro-based business technology specialist, Datasharp, has been awarded the Unify Innovation Award 2017. Datasharp was awarded the accolade for its “creativity in delivering unique customer cloud-based solutions”. 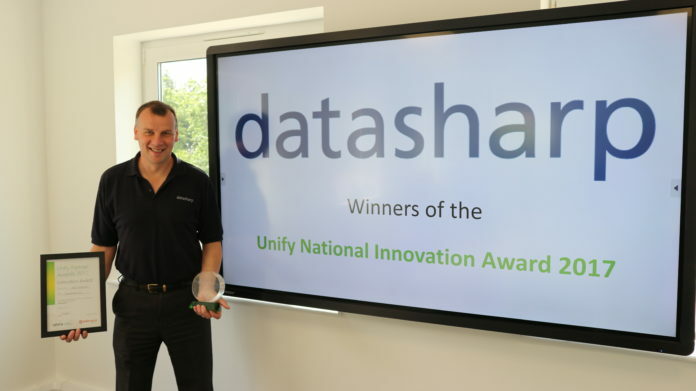 Technical director, Allan Williams, said: “Receiving the Innovation Award from Unify is truly inspiring and an honour – this is great recognition for ‘Team Datasharp’ and all their hard work.